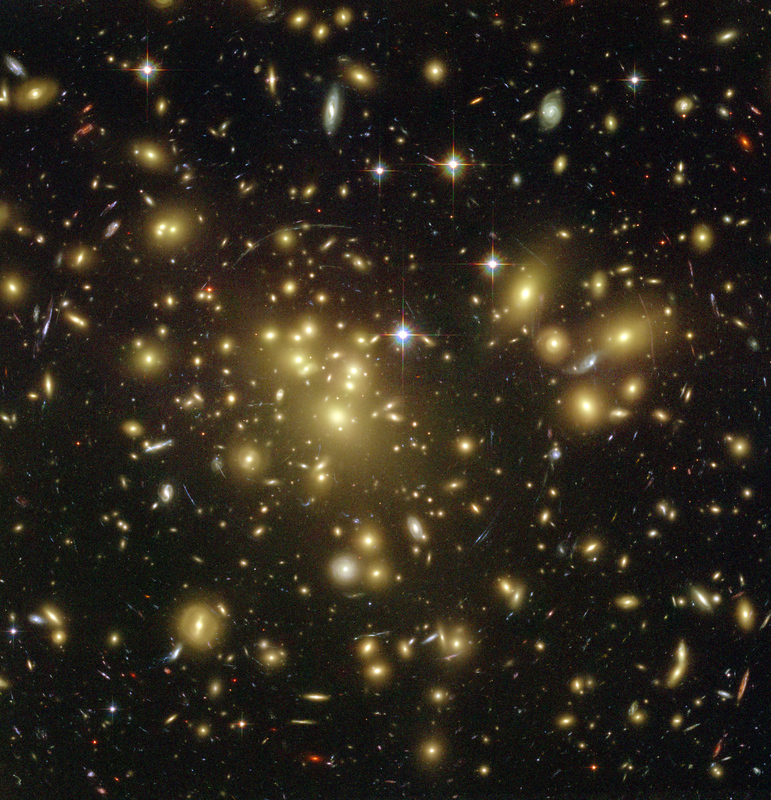 The gravity of the cluster's trillion stars acts as a cosmic "zoom lens", bending and magnifying the light of the galaxies located far behind it, a technique called gravitational lensing. 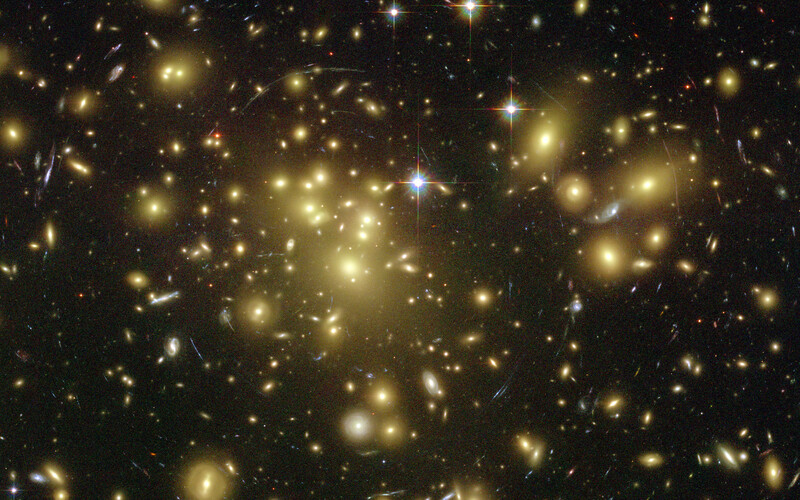 The faraway galaxies appear in the Hubble image as arc-shaped objects around the cluster, named Abell 1689, seen in this image. 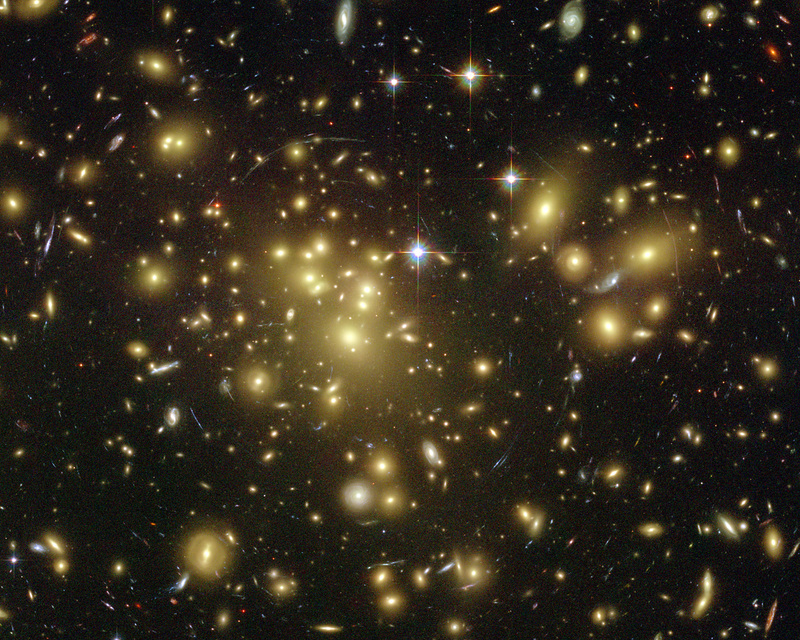 The increased magnification allows astronomers to study remote galaxies in greater detail. Position (Dec): -1° 20' 18.89"